LOCTITE THREADLOCKER 222 (50ML) is rated 5.0 out of 5 by 2. 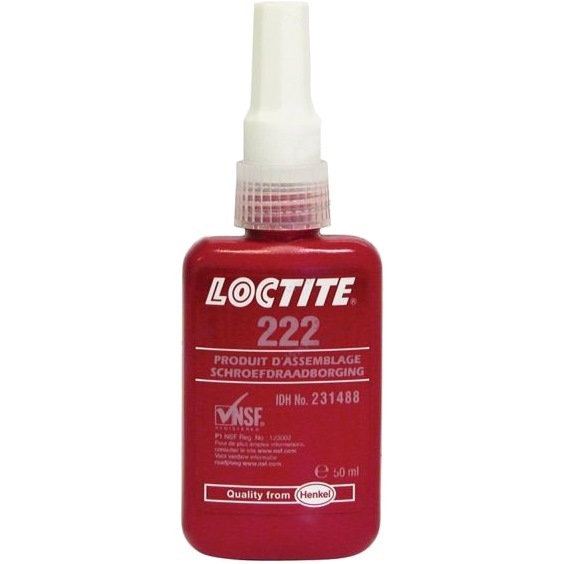 Loctite ® 222™ Threadlocker is ideal for fastener diameters of 1/4"(6mm) and smaller. Controlled lubricity for accurate clamp loads. Parts can be separated using hand tools. Rated 5 out of 5 by frostyintrepid from Good Works as advertised. Seems to work better if applied second time. Rated 5 out of 5 by SGYC from Loctite Threadlocker 222 The product was awesome it did a great job...the service was efficient, I got my item the next day after my purchase.